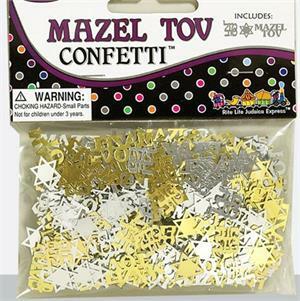 This judaic confetti says "Mazel Tov" in both English and in Hebrew and also has stars of David all in gold & silver. Bag has 1/2 ounce. When sprinkled around a centerpiece one bag will do two tables.